A successful Fortune 500 senior executive, Founder Ron Albright has had the opportunity to watch businesses from all over the world succeed or fail in efforts to achieve their objectives. A common success factor for all is the degree to which scarce resources are focused on executing value propositions. Today’s competitive markets make it increasingly difficult to maintain an efficient resource balance, while remaining focused on value creation. Large, well-funded organizations have kept pace by investing in the latest productivity enhancing technologies and business processes. Many smaller businesses have been forced to get by with what they have, risking long term sustainability. VProA’s business model is designed to help smaller organizations achieve better returns on their scarce resources. Leveraging practical experience, cloud computing technology and best practice business processes, we’ve created a cost-effective virtual services delivery platform, where our staff provide professional support more efficiently. Whether individual staff or a team, our professionals are committed to client specific requirements, as needed. Our unique offering is designed to… reduce client support cost…free up scarce resources…improve productivity…increase focus on value creation. Simply, we assist clients do what they do best, by helping with the things they do least. Examination the tasks and activities responsible for value creation. This is a simple discussion around client products and services, and the core resources required for maximum performance. This is where client focused attention is needed most. Understanding non-core activities supporting value creation. These are generally business administration related activities which don’t directly contribute to value creation. 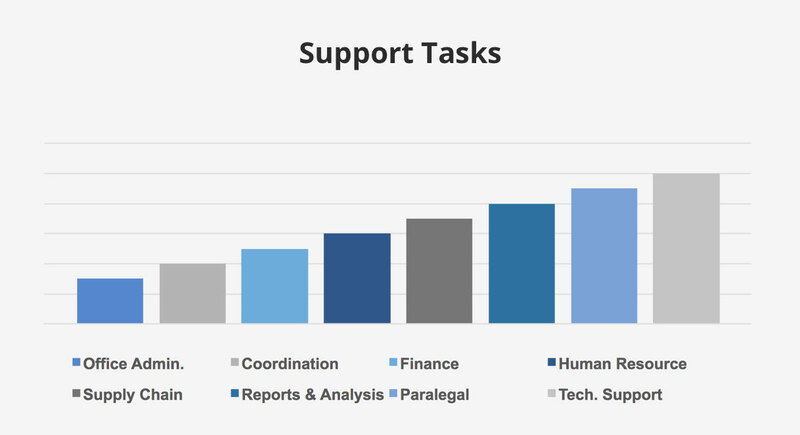 This is where VProA’s professional services help reduce support costs, freeing up client resources. Looking at the effectiveness of core resources delivering quality results. 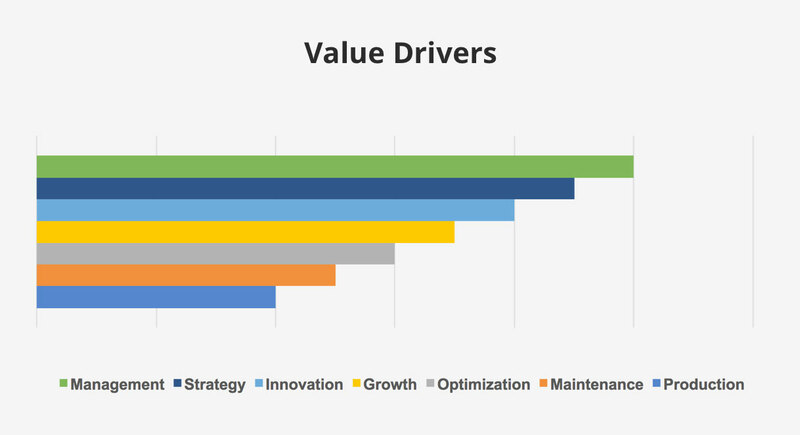 VProA uses Utilization metrics to understand the amount of time core staff spend doing what they were hired for…create value, versus the support activities they might be distracted by. 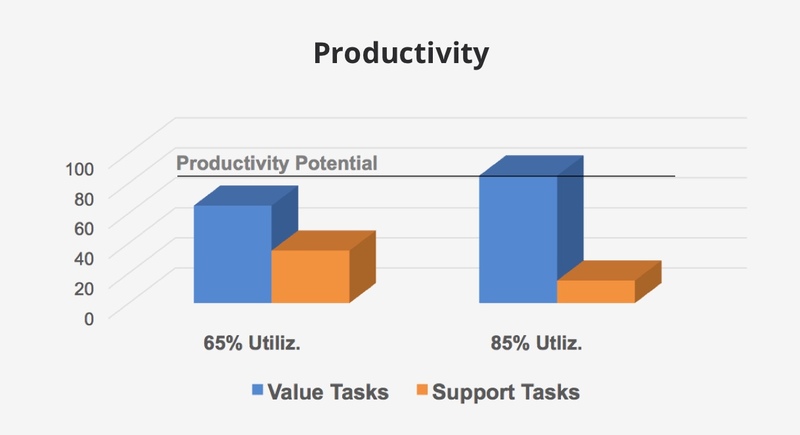 Chart to the right demonstrates the productivity improvement potential, where core staff utilization goes from 65% to 85%, driving incremental corporate value creation.